Whether you're busy at work or perhaps too frail to walk your dog sufficiently, Gwynedd Dog Walking is here to help. We offer group walks, where your dog can socialise and play with others. Or solo walks, for dogs who are not so good with others. Gwynedd Dog Walking is not just about ﻿﻿exercising dogs﻿﻿. We can look after puppies, cats and other pets. We also offer dog boarding as an alternative to kennels. Your dog is walked with others. £10 for an hour's walk. Your dog is walked by itself. £25 for an hour's walk. but at a gentler pace. One or two visits a day. For cats and other pets. Your dog stays at my home. £20 for day (12 hour) boarding. £24 reducing to £20 per 24 hours. Dogs need to be cared for. They require exercise, contact with people and loving relationships. A dog left on its own for countless hours may become distressed and is not good for a dog's development. That is where Gwynedd Dog Walking can help. Our dog walking service not only means your dog is exercised when you are out, offering interaction and lots of love. It also has housekeeping benefits, such as topping up water bowls or cleaning litter trays. The Kennel Club has useful guidelines on walking dogs. As with people. exercise is also important for a dog's weight control. 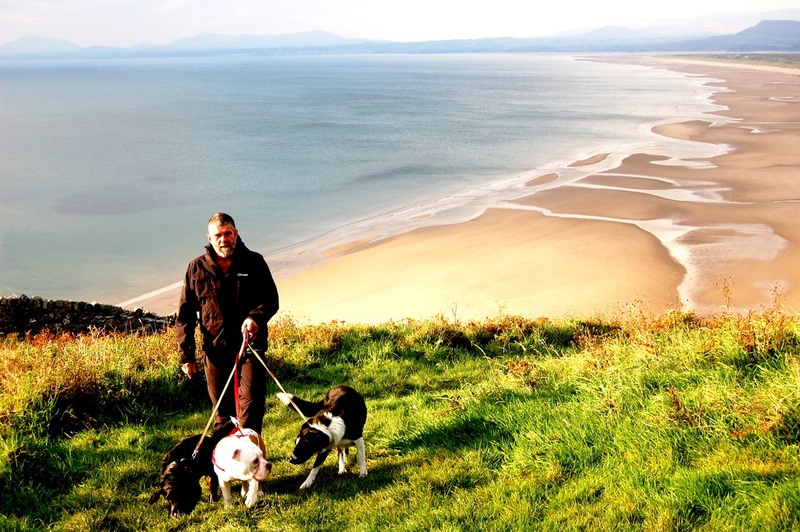 Stuart is an experienced dog walker, based at Llanfair near Harlech. 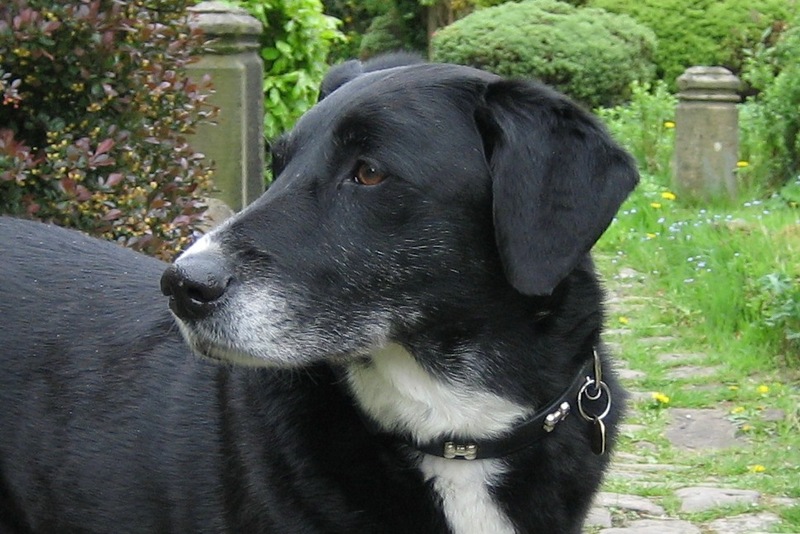 He offers a professional service that your dog will love and you can rely on. An ﻿introductory meeting﻿ is free - you are under no obligation. Stuart also offers home visits to your puppy or other pets. Dog boarding is also provided. 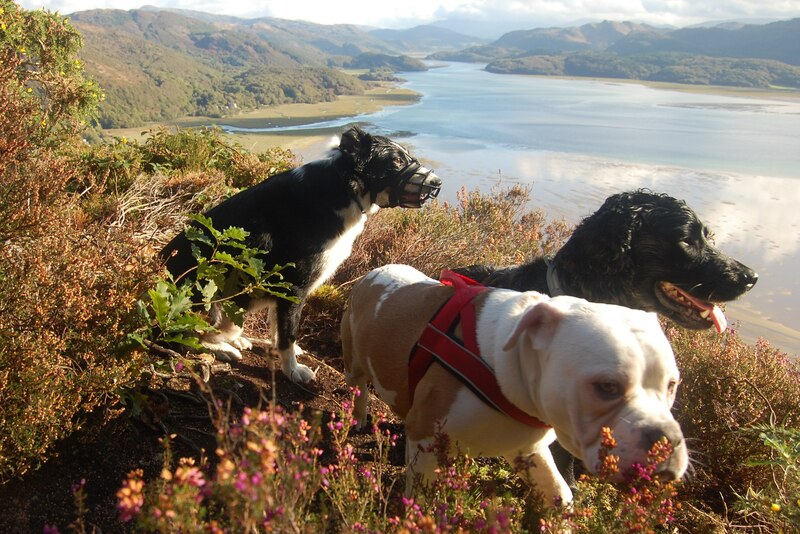 Gwynedd Dog Walking covers coastal areas from Talybont to Porthmadog, including Harlech and Penrhyndeudraeth. 4bypaw for areas of Snowdonia near Llanberis. "Oscar loves walking with Stuart and always comes home tired!" "Stuart is very reliable and trustworthy." "Extremely reliable service offered by a lovely gentleman." "Stuart is my go-to dog sitter when I go on holiday." "I always had complete confidence that Nellie was well looked after."